Angry Birds is an all-time favourite video game that features some birds that are literally angry because the evil green pigs have stolen their eggs. Because of that, these birds are constantly on a mission to defeat the pigs and get their eggs back by ruining and breaking down the structures that protect the pigs and would kill the pigs in the end. Well, we are sure most of us have tried playing this game. It is available in any kind of format you can think of which is a good thing for those people who were hooked in playing this game. But for today, we are not going to give you tips about the game. We will try to establish a connection between our feathered friends and freelancing. If you think of it, there are actually some valuable lessons that we can get from the game. You might not just notice it because you have enjoyed playing. 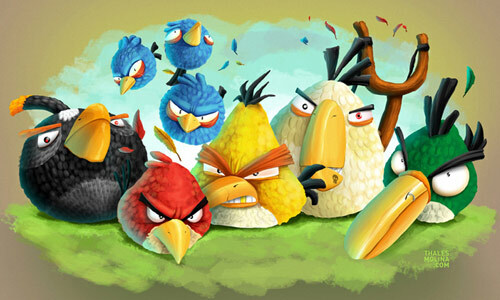 So, we will give you some thoughts on how Angry Birds can remind us of some important points in freelancing. Eager to know what these are? Check them out below and start striking some great freelancing reminders. 1. Strike when you are certain. 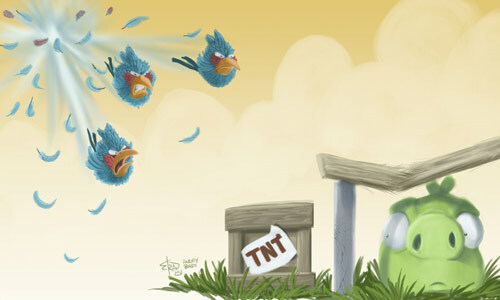 When you play angry birds, you do not just strike anytime you want. You have to see to it that you are on the right angle and target so that by the time you let go of your bird, you’ll get the right trajectory. In freelancing, this is also the case. When you are working, do not just hit it without proper planning. Plan everything well from your design process to the design elements that you will use for your project. Same is also true in getting clients. Do not just jump in and say “I’m here! Pick me!” It doesn’t work that way. Do not strike a client unless you are ready with your portfolio and unless you are actually ready to work on a project. 2. Go for golden eggs and get three stars. While these birds are at the hype of their anger to defeat the pigs and get back their eggs, you are also aiming to get three stars for every part of the game and you will even do everything just to get hold of the golden eggs which opens to more exciting games. Well, as a freelancer, you have to aim high all the time. This means that you have to develop your skills and always go for the best. When we speak of your designs, make sure that you will give your utmost efforts in order to get three stars from the clients. If you do good with your work, you will be rewarded with golden eggs. Golden eggs are not just what you earn from the work but it includes how much you learn from what you do, the satisfaction of your clients which will result into returning clients and even referrals and the development of your skills and freelance career. Each bird was given skills of their own and could break certain barricades and elements. Like how the tiny blue birds can break glass and TNTs. That is their specialization. As a designer, you also have your own skills and these skills are intended for certain specializations. Check on where you are really good at and work on that. If you are inclined to logo designing, then start with that. But you also have to be versatile so that you can get more projects and more clients. Yet, it is still advisable to have one specialization. Having a specialization can make you an expert on that. 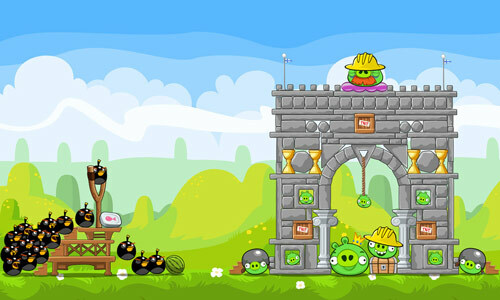 We have mentioned that each character in Angry Birds have their own skills. What makes them all effective is because they do not just possess the skill but they “master” the skills they have. Once you master your skills, you will be more confident about it and you will also become an expert on it. It would be useless to be having so many skills when you have not mastered anything. There is an citation that says “Jack of all trades, master of none”. This means that a certain person is competent of doing different skills but is not outstanding in any of it. You do not want that to happen to you. So, develop and improve a skill before you jump in to learning new ones. You can be aided the Easy Steps to Improve Your Graphic Design Skills. 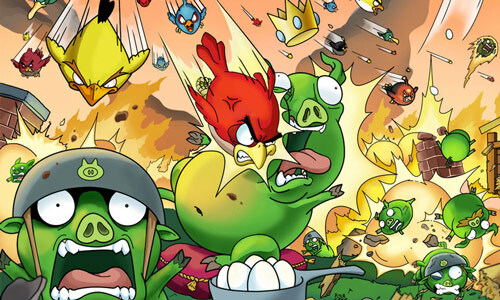 One Angry Birds game lets you use different birds with different skills. This shows that you need different skills in order to succeed. We have mentioned about having a specialization but it doesn’t mean that you will merely stick to that. In freelancing, you will not succeed if all you have is design skills. You will also be needing communication skills, interpersonal skills, listening skills and others. Even accounting skills and other business related skills will also be necessary. This is the case because in freelancing, you work on your own. You have to be equipped with all these skills so you can make it in the freelance design world. You might want to know the Skills Freelancers Need to Win Jobs in 2013. The birds are aware of the pig’s weaknesses and would use it to get them. Also, they know the weak points of the blocks and how to break them. Remember the Art of War? Know your enemies as you know yourself. Well, we are not saying that you have to start a war with other freelancers. The point of this is that you have to know what other freelancers and designers have to offer. Checking competitions is normal in this field in order to improve yourself more. When you know your competitors, you will be aware on which points you need to work on and how you can stand out from the rest of them. 7. Strike and strike until you succeed. You will notice that these birds are really persistent to beat the pigs. One valuable lesson that we can all get from it is to “try and try until you succeed” and to always be persistent and fully determined to reach your goals. As a freelancer, you have to be persistent like the Angry Birds because if you have this attitude, success will surely be in your reach. Do not feel down and do not stop when you fail on something. Failures are challenges so you will do harder the next time. Once you work harder, you will no longer fail. But if you quit, you will fail. Quitters never win. 8. Use the right strategy. 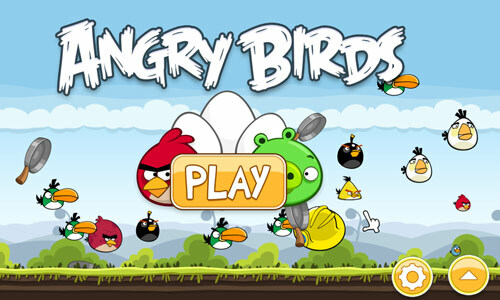 Playing Angry Birds is not just grabbing a bird and letting them go in any way you want to. You have to think of a good strategy in order to defeat the pigs and bring them down. There are instances when you have to hit something else and let the bird bounce to it in order to hit the right spot. Sometimes, you don’t have to hit the walls and blocks directly to break them. Also, you have to use the right bird to break blocks. Knowing what each one can do will make it successful for you to split the structure. Same is true with freelancing, you should always have a good strategy in everything. Planning is one thing but strategy is a different thing. When you strategize, you look into all of the aspects and consider them into the plans that you are going to make. Have a strategy in getting clients and in promoting yourself as a freelancer. Using the right strategy and skills is like using the right birds in order to win. You can notice that every category in the game has various set ups and backgrounds. 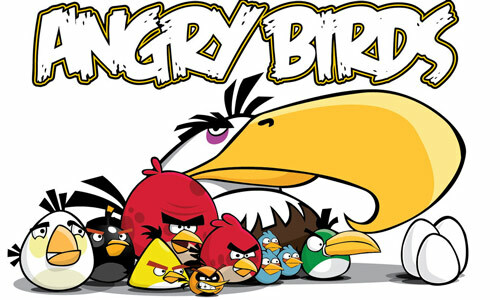 There are even various versions of Angry Birds but these birds are still on their way to get the pigs. They are able to adapt to whatever type of skills are added to them or in whatever environment they are in. As a player, you also need to adapt to the changes so you can get the stars and move to the next level. Change is a constant thing as what they say. So, as a freelancer, you have to be open to various changes. This includes the occurrence of slow times which often comes in surprise. You should also be able to deal with clients well no matter what type of person they are. You have to accept the variations and changes around you. If you could do that, you will not find it hard to succeed in the freelance world. 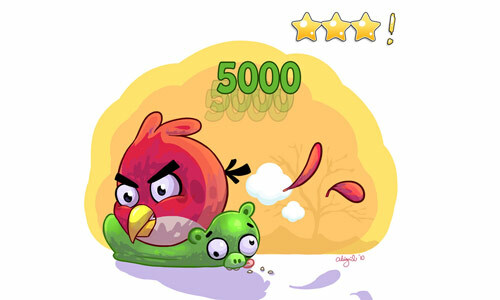 There is no other way to learn how Angry Birds works but to play. While playing, you’ll get to know the game’s rules, the special skills of each birds and you will also learn to think of good strategies to break down structures that protect the piggies. As for you, you will only learn the ropes of freelancing if you get into it. Do not be afraid to try because if you won’t try, you will not get into anything. You will learn so much if you are already into it. The more you design and the more you do freelance, the more new things you will learn. Who would have thought that even this game and its witty birds with special skills can actually give us a lesson on freelancing? Well, they just did give us some reminders on what we all need for freelancing. 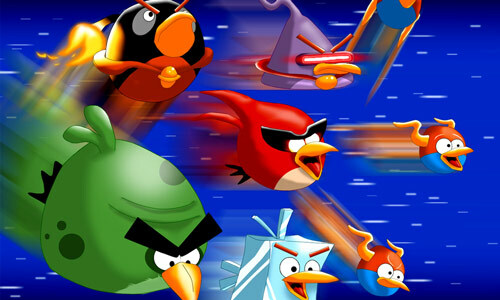 So, the next time you play Angry Birds, you will not just enjoy the game but you will also recall this post and the freelancing tips that go with it. 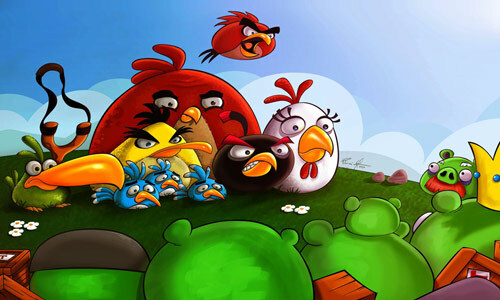 Do you think there are still other lessons that Angry Birds can give us? Add some below. Very entertaining and thanks for the lessons. 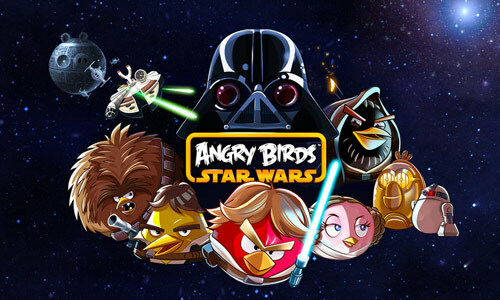 Thank you for your article,now I appreciate the importance of the game “ANGRY BIRDS”. Nice article,I like how you mixed up the lessons and entertainment. Wow,cool!! !Thank you for the information. Oh. Thanks for considering these tips Isuru. I’m pretty sure you’ll get jobs done well. We always learn lessons from past occurrences, too. It can even make you a better freelancer.